Each year, we hold a food drive just before Thanksgiving that benefits West End Neighborhood House in Wilmington. And each year, we try to surpass last year’s total. 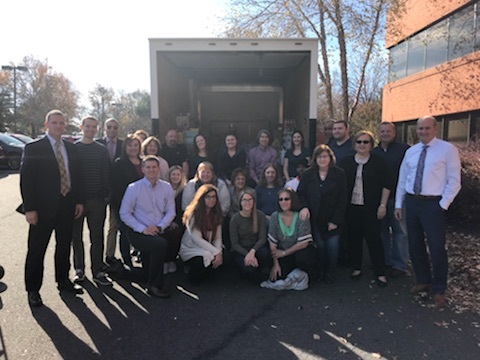 Well this year, we blew last year’s total “out of the water” – our generous employees donated over 3,667 pounds of food, surpassing last year by over 1,200 pounds! The West End guys were overjoyed and so thankful. We stuffed their truck! We say it all the time, but it really is true…we have the best, most generous employees around! !